SUPERTRAXMAG.COM - IS E-TEC REALLY THAT FAR AHEAD? IS E-TEC REALLY THAT FAR AHEAD? One of our readers, Tyler Floyd, commented on an article we posted a couple of weeks ago that he thought Arctic Cat's new DSI 800 was already five years behind the competition (Ski-Doo) when it introduced its new engine. I'm sure many Cat riders were a bit offended by his comment (I;m also pretty sure Tyler owns at least one Ski-Doo) and will likely gang up on him online. However, I think Tyler's comment is a valid perspective on where the industry is heading. In my view, the perception with many snowmobilers is that the newer an engine is, the more technically advanced it is. I'm not taking anything away from Ski-Doo here but I think Cat's C-TEC2 800 is every bit as up-to-date and advanced as any E-TEC. The fact Cat has been able to achieve a clean, reliable 2-stroke that delivers gas mileage within a hair of E-TEC without the use of direct injection is a considerable accomplishment. Another consideration is the history of the 800 E-TEC compared to the old Suzuki 800 Cat used for so many years. Certainly the old 800 was a relatively dirty engine - especially compared to E-TEC - but those twin plug 800 Suzuki Cats were as reliable as anvils and arguably have had a better durability history over the last seven years than the 800 E-TEC. Yes, the new 850 E-TEC incorporates a lot of new technology that will ensure longevity - and you can also argue the old Cat 800 is a completely different engine than the new DSI 800, however, the principles of engine lubrication, crankshaft design and heat distribution are amazingly similar to the old Suzook. In other words, Cat didn't throw out the tech that works for the sake of creating something more complex. Is Cat's DSI a better design than E-TEC. Absolutely not. I would also submit that E-TEC is not a better design than C-TEC2. It's simply two different ways of accomplishing a very similar result. We can argue all day about which one is faster on any given day, but the results are pretty similar. 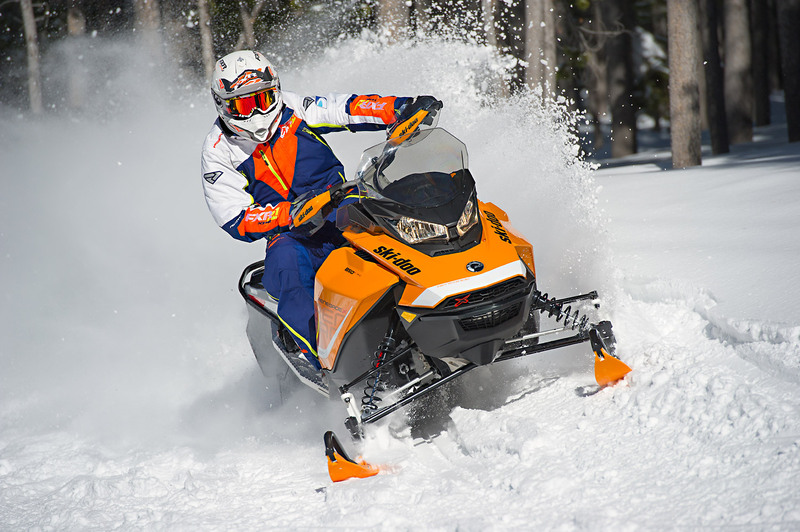 Also, if Ski-Doo does have a new G4 600, I'm betting its higher performance might be more attributable to the pDrive clutch than the engine's power output.